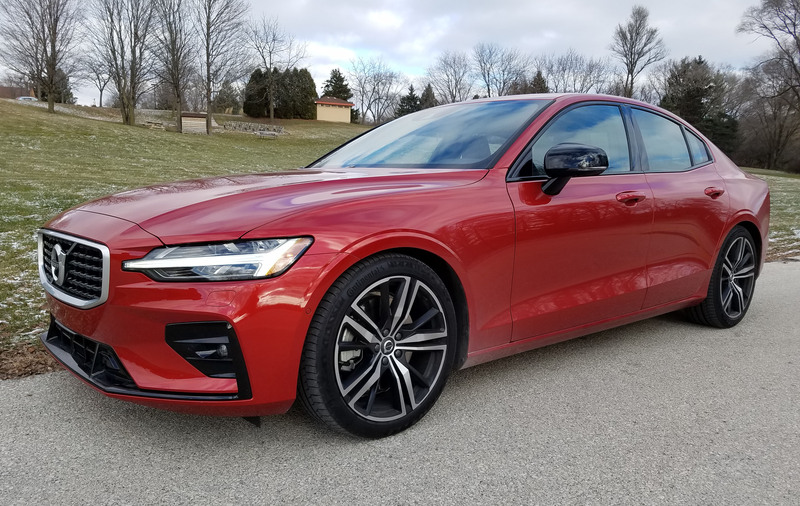 Volvo torques up the size and horsepower in its newly redesigned 2019 Volvo S60 sport sedan, plus this is the first Volvo sedan ever to be made in America. That’s right, if you’re a buyer who insists your car be built in the United States, well, add Volvo’s S60 to your list. It’s now made in South Carolina. This car rips, is good looking, and fits well into the mid-size sport sedan segment. 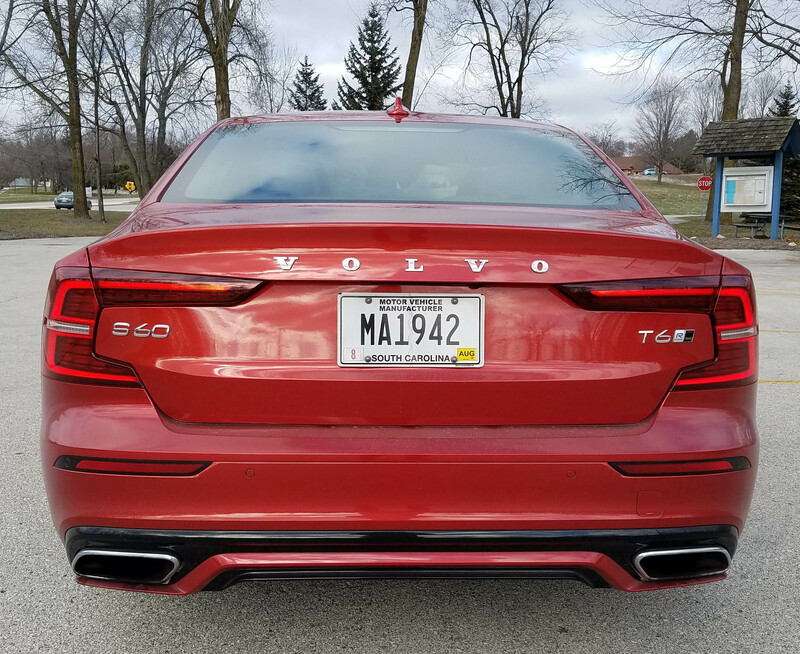 If nothing else, it looks better than previous Volvo sedans with a trimmer physique and stylish taillights that set it apart from many competitors. First, the wheelbase grows about four inches from the 2018 model and is about five inches longer. Its horsepower jumps to 316 and there’s more available if you go with a T8 model that touts a hybrid power system coupled with the turbocharged and supercharged 2.0-liter I4 that came in the sporty tested R-Design model. Horsepower is 400 in the T8. 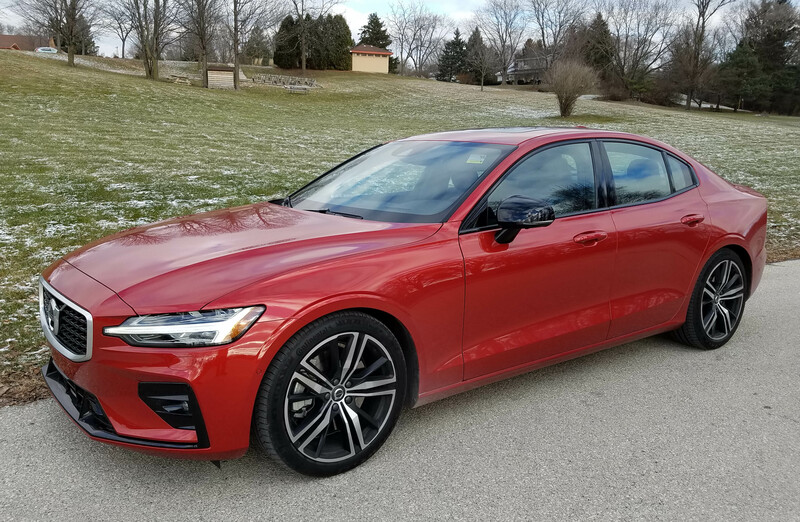 The S60 lineup starts with the Momentum trim at just shy of $36,000, then there’s Inscription that tends toward luxury and R-Design that leans sporty. Top level is Polestar trim with that plug-in hybrid system that nets 21 miles of electrical charge. I had the S60 R-Design and its supercharged and turbocharged engine was way more than sufficient to power this AWD model. This was a rip and roared up to freeway speeds in a blink. I had to find excuses to jump on the freeway for short trips, just to feel the 295 lb.-ft. of torque kick in when my right foot decided it was fun time. I can’t recall a sport sedan I’ve tested this year that gave me more of a rush, just from acceleration. Plus the Volvo’s 8-speed automatic transmission shifts smoothly and makes good use of the sedan’s power. Handling also is impressive. 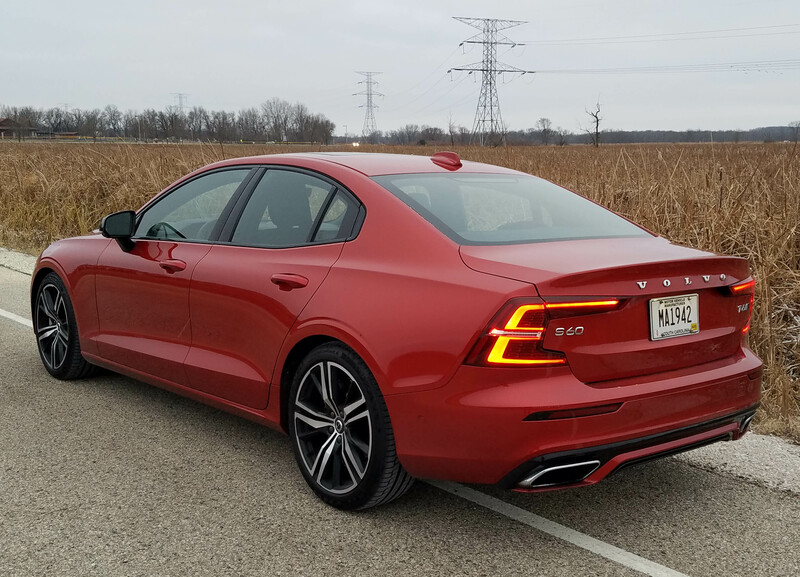 The S60 feels like a fine German sport sedan, but with its edge smoothed off just a bit. This is a fun one on the highway and on winding country roads, turning into corners crisply and sticking to the pavement like a racer, the car’s all-wheel-drive system helps there. Four drive modes let you tune in the power and handling too. Dynamic being the sportiest feeling and boosting the power. Normal is fine for all daily driving and delivers plenty of oomph and sporty handling. An Eco mode is available if you’re prefer to maximize mpg and there’s a Custom setting you can program to meet your personal needs. Ride, as one might suspect, is sporty and therefore firm. For some this might be borderline stiff, so a test drive is in order for anyone whose tushie might be as old and sensitive as mine. The S60’s ride is never severe or punishing, and shouldn’t be in a car with a 113-inch wheelbase. Yet it is firm enough that you feel road imperfections. 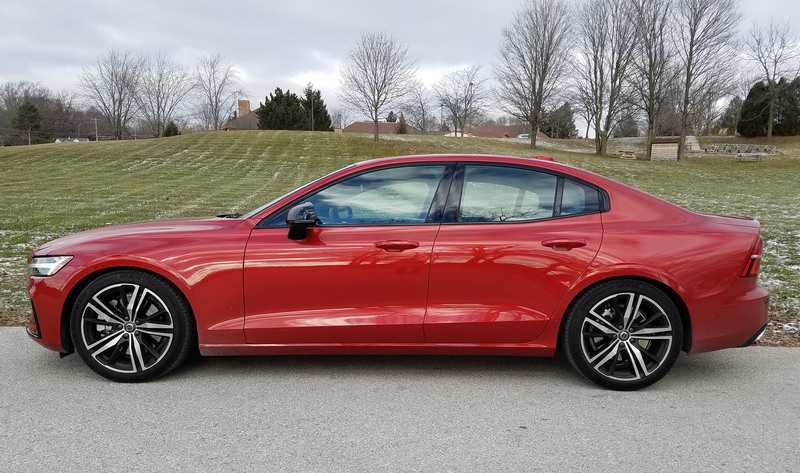 Inside, the red (with a copper tint) S60 was quiet, comfy and stylish in a refined, yet simple style. 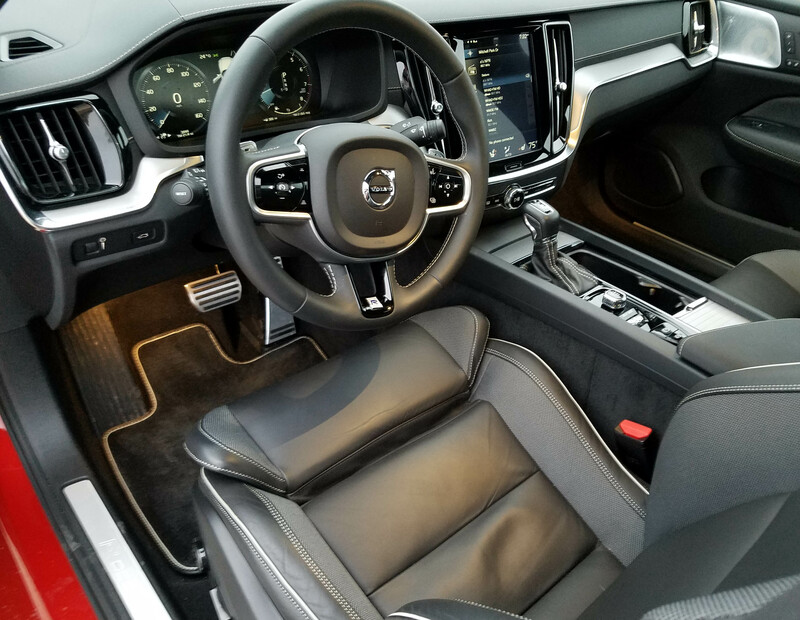 The dash was black leather with gray stitching and the comfy supportive seats also black with gray piping and stitching. I really liked the textured chrome trim on the dash and atop the retractable cup holder cover on the console. Door handles are a standard chrome and then there’s a gloss black trim by the big infotainment screen. Speaking of which, that’s a 9-incher, so easy to see and read. Yet while a touchscreen this Sensus system is not as easy to figure out as some, although still better than the Lexus system that continues to set the low bar for infotainment screen interfaces. I’d call the Volvo system clumsy, but not impossible to use. Best not to adjust it while driving though. I know I mentioned the supportive seats already, but I have to rave on them for another second. First, they are powered and include power lumbar and leg cushions that will extend or retract so tall and short drivers all may get comfy. These are among the best seats I’ve ridden in all year. However, once short little me got the seat set for my comfort, it was a tight squeeze under the steering wheel for my legs every time I exited the car. The S60 is primed for needing a power tilt/telescope wheel that moves up and back whenever the ignition is turned off. However, it’s manual and I found myself releasing and lifting it each time I exited the car. A flat-bottomed steering wheel also would help provide a bit more clearance between the wheel’s bottom and the top of the driver’s legs. The seats have two memory settings and are heated (optional) though. Plus the steering wheel is heated, both major benefits during a Wisconsin winter. Other pluses inside include a head-up display for the driver, a sunroof and full complement of safety devices, exactly what you’d expect in a Volvo. There’s a rearview camera, lane departure warning, blind-spot warning, automatic braking, smart cruise control, parking sensors and cross-traffic alerts and SOS system overhead. It all worked well. 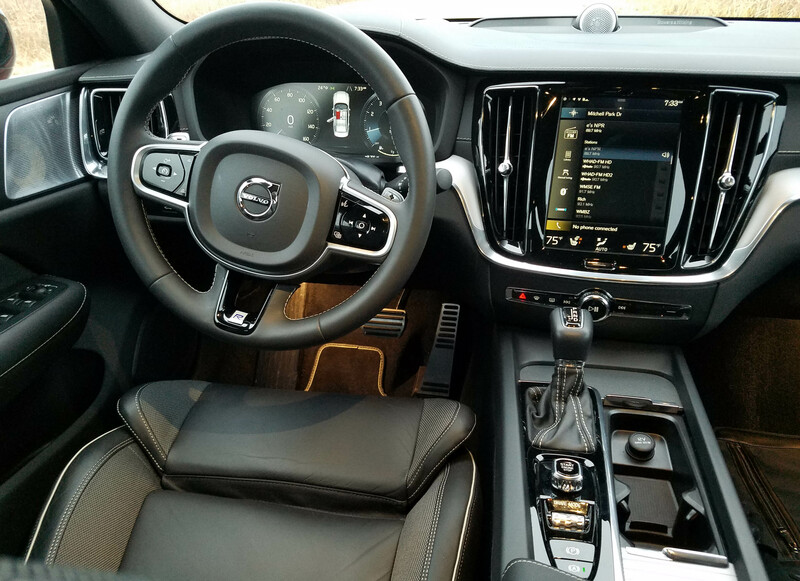 A couple other points to consider inside the S60. Its visors do not slide and the car, while beautifully styled, has large A-pillars that can make side views at intersections a bit challenging at certain angles. And while the interior is comfy and quiet and easily seats four adults, the trunk is small at just 11.6 cu. ft. That’s considerably smaller than most of its competitors. From a practical driving standpoint the gas mileage is nothing special either, plus the S60 prefers premium fuel. The EPA rates the sedan at 21 mpg city and 32 mpg highway. I managed 22 mpg in about 60% city driving, and a decidedly heavy foot when heading onto the highway. As for pricing, the test car checked in at $47,395, including delivery. And with just one option ended up at $48,165, certainly in the mid-size luxury sport sedan ballpark. A base T5 Momentum model starts at about $36,800, but comes with a 2.0-liter I4 that is just turbocharged, not turbo and supercharged like the test model. The base engine produces 250 horsepower and is front-wheel drive. Move up to the hybrid Polestar trim and the electric motors combined with the turbo/supercharged I4 produce an amazing 400 horsepower with 472 lb.-ft. of torque. Fun, but at a price. The Polestar goes for around $55,400. 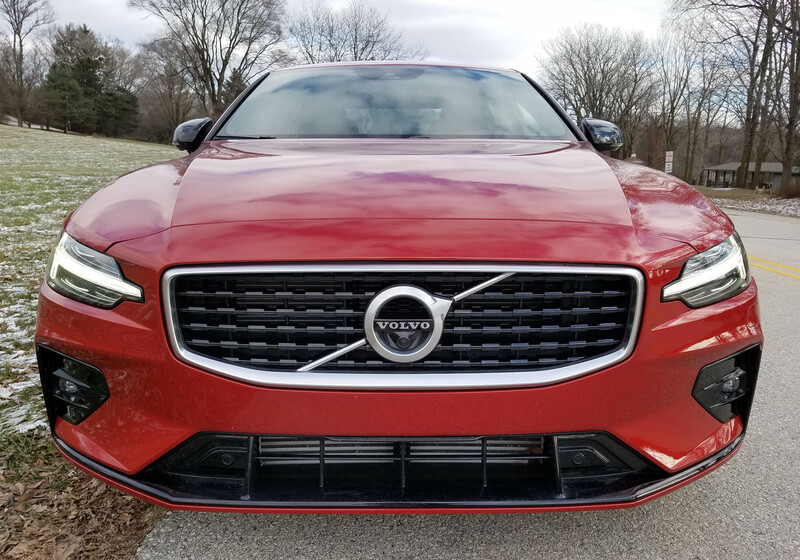 If fun and great handling are atop your shopping list, and you prefer a car built in the States, Volvo’s new S60 should be near the top of your shopping list. Hits: Handsome sedan with excellent power and handling, plus AWD. Quiet interior with sunroof, heated front seats and steering wheel, comfy supportive seats, multiple drive modes an full array of safety devices. Misses: Fairly stiff ride, big A-pillars, touchscreen a bit clunky to use and short drivers must adjust steering wheel each time exiting the vehicle to avoid bumping legs on wheel.